This week we have Artie West, Executive Director of Charm City Youth Lacrosse. We met Artie back in January at LaxCon, where there was plenty of discussion around diversity in the sport of lacrosse. Charm City is almost always mentioned in these types of conversations, so we explore what that means to her in her role leading that organization. More importantly, we hear her perspective on how women’s lacrosse is also very underrepresented when discussion of equality and inclusion take place. The organization is focused on developing lacrosse in Baltimore’s inner city as a vehicle to drive community progress. As the executive director of Charm city, and a former division one player herself, Artie is in a great position to tell us what it’s like to be on the other side of that conversation. She explains what is really important to her and her organization, and it should hopefully give you some things to think about. Staying on the common theme, Artie is just as busy as the rest of our guests. I was able to sneak an hour or so of her time when in Baltimore. She was generous to give as much time as she could over a busy weekend along with abundant enthusiasm. We start with some detailed looks into how Charm City is run. Hearing some of the challenges they face, ones they have already overcome, and why they made some decisions they did can all be used by other community lacrosse programs around the country and the world. 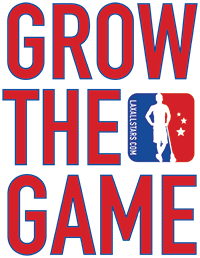 Artie is an unbelievable resource for the growth of lacrosse. Take the time to lend her your ear. Check out episodes one (Sean DeLaney), two (Bill O’Brien), and three (Kevin Rice) of our Know the Game podcast and subscribe on Soundcloud.